I can't believe I'm in New Zealand! This time last year I was competing in Northern Ireland for my school and for Springwell Running Club in non-disability events and I had no idea there were such amazing opportunities in Paralympic sport. I'm a T46 100 metre and 200m sprinter and the only Northern Irish athlete on the Aviva Great Britain and Northern Ireland team out here for the IPC Athletics World Championships. This is my second time away with the team but my first in a senior competition and I'm really excited to be part of it. Overall I've had a brilliant year – I competed at events at home and in England and my highlight was definitely going to the Czech Republic for the IWAS World Junior Championships where I won two silver medals for the 100m and 200m sprints. I feel really lucky to have been given a break in disability athletics. I was invited to Leeds by UKA to be assessed by some of the team there including the UKA Paralympic head coach Peter Eriksson and former Olympic sprinter Paula Dunn. We went through all sorts of drills and it made me realise what I could really be capable of. The fact that Paula was excited made me excited too. I went on to compete in Cardiff at the Aviva Parallel Success event and to be officially classified for the first time. I'm a T46 which means "single above or below elbow amputee or physical impairment". My whole summer was then mapped out and I went on to compete in Gateshead in UKA's Disability Athletics Challenge. I must have done something right because a couple of weeks later I was called with the great news that I'd been selected for the IWAS Juniors. It was just like Christmas when my kit arrived – I had no idea how I'd find time to wear it all but I was so proud to know I'd be representing my country for the first time and wearing the red, white and blue. I don't think even I believed I'd go on to be selected for the IPC Athletics World Championships but now I'm here in New Zealand it's really starting to hit home. I flew from Belfast to Heathrow on January 4 and ended up using my sprinting skills to good effect when we were delayed and had to race from one terminal to another to catch our flight to Auckland via Los Angeles. It was quite strange meeting up with everyone for the first time but it also made me really proud to wear my team kit. There are 40 athletes on the team but I'm one of the youngest along with Jade Jones. I think it must be weird for some of the older and more experienced athletes like David Weir, Shelly Woods and Stephen Miller who have been competing at this level for a while – they must be wondering who we all are. We know who they are though and it's great to know we can speak to guys like that and ask them to help us out or give us advice as they are always full of wisdom for the situations we find ourselves in. My own coach Phillip Tweedy isn't out here but the coaches with us have been brilliant and it's great for me to work so closely with Paula Dunn who was one of the first people to get me involved. Paula really knows all about competing at the highest level - she went to the Olympic Games in Seoul in 1988 in the 100m, 200m and the relay and she won five Commonwealth Games medals in the 100m and the relay from 1986 to 1994. She's taught me a lot and I'm already starting to see a difference in my training and the way I can interpret and know the difference between a good session and a poor session. I know when I'm running correctly and when I'm not and I've been practising my relaxation techniques and my breathing. We couldn't really ask for a better place to prepare for the championships. We're staying at the Millennium Institute of Sport and Health in Auckland and it really does have everything we could ask for. All of the athletes and most of the staff are staying on site so we can get up in the morning and be sitting eating breakfast within five minutes while looking out of the window on to the track. I've also got wise to the fact that I can literally jump out of my window and on to the track if I'm running late. As well as the main outdoor track there's an indoor track, a 50m pool, a CV gym and a weights gym. Everything is so accessible. I think it's been quite hard for some of the wheelchair athletes who have been trying to get some miles in on the roads because it's so hilly, but it'll definitely be helping to get them into peak shape for the competition. In my spare time I have been shopping with Hollie Arnold and Hannah Cockroft in the mall which is just ten minutes away. There are also some shops close by so when we're walking to them we get to see some of the beautiful area and also soak up some sunshine. I'm competing on the very first day (January 22) in the 200m and hopefully I'll make it through to the final the next day. My 100m heats and final – all being well – are on January 24 and 25. My personal best times at the moment are: 13.33/13.32 for the 100m and 27.37/27.04 for the 200m. My main aim is go even quicker and to make the final, but of course I want to win a medal, as does everybody on the team. This is a huge stepping stone for me in my aim to represent Great Britain in the Paralympic Games. I'd absolutely love to compete in front of a home crowd in London next year, but I have to remind people I'm only 15. If I do make it to London it would be a dream come true, but my real chance of a Paralympic title might be four years later in 2016 – Rio watch out! The US Olympic Committee is poised for a successful year in Paralympic sport in 2011, beginning with the IPC Athletics World Championships in Christchurch from January 21-30. This competition is the first key step in the London 2012 qualification process and is the ideal forum for our athletes to have top performances in preparation for success at the London 2012 Paralympic Games. The 51 athletes who will represent Team USA have an impressive performance history, while also being extremely diverse. Twenty-three Paralympians, 12 Paralympic medallists and seven world record holders are on the roster, joined by six military veterans and six high school students. 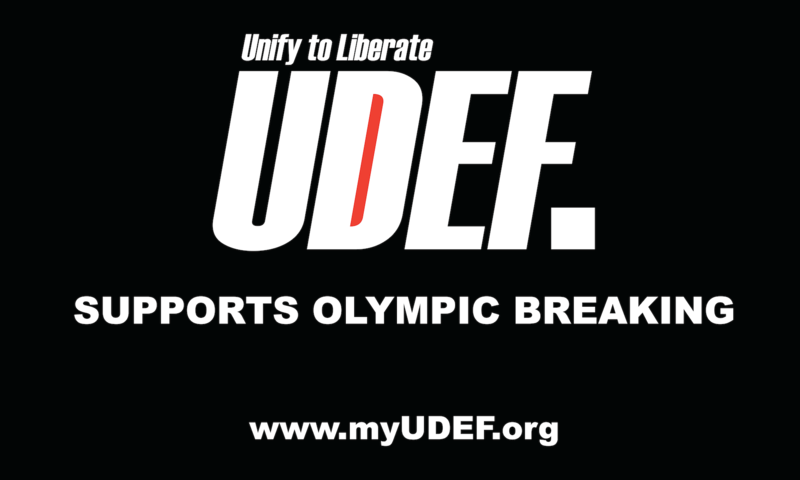 The 2011 squad includes the largest group of young athletes on a US Paralympics track and field team in recent history. The six high school students on the roster were all nominated to the inaugural US Paralympics high school all-American track and field team in 2010 and have the potential for great success in London 2012 and beyond. Among the group of US military veterans who will compete in Christchurch are Kortney Clemons, Carlos Leon and Scott Winkler - three of the four athletes who featured in the 2008 US Paralympics documentary film Warrior Champions, which documented their injury, recovery, training and preparation for the 2008 Beijing Paralympic Games. Team USA hope to improve upon their success in Beijing where they finished among the top three nations in the track and field medal count when competition commences in Christchurch. Success in New Zealand will be the foundation for the next 18 months of preparation, planning and focus on the London 2012 Games. Team USA is poised to lay a great foundation for performances in 2012 and beyond. 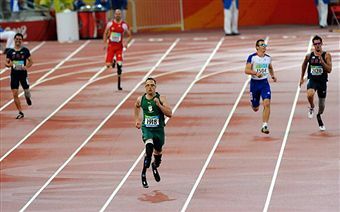 Wishing all athletes and teams at the 2011 IPC Athletics World Championships a highly successful competition. Following the story about "Man with no legs barred from running World Championships marathon by International Paralympic Committee" the IPC would like to set the record straight on a number of points. First of all, in 2009 the IPC website www.paralympic.org published the qualification criteria for the IPC Athletics World Championships in Christchurch. This criteria set out clearly what the eligible class would be for each medal event. This stated that the classes for the marathon were T11, T12, T46 and T54 - not T42 which is Richard Whitehead's class. This meant that as early as 2009 it was clear there would be no marathon event for Richard to participate in. The IPC cannot bar an athlete and neither can a federation or National Olympic Committee try to enter an individual into a medal event that simply does not exist. The reason why the IPC has not organised a T42 marathon in Christchurch is that there are very few marathon runners around the world in the T42 class. We do sympathise with Richard on this issue as he is the world record holder for both the T42 full and half-marathons and would be a strong contender for gold in any championships. However, for the credibility of the sport it is not logical to organise a marathon medal event when there are so few T42 runners – in Christchurch it was likely that we would have had less than three runners in the event had it been organised. What sometimes happens in Paralympic sport when there are limited numbers of athletes in certain classes, is that athletes are allowed to 'move-up' a class. This however, only makes sense when the methods of impairment are similar or affect similar regions of the body. For example the visually-impaired classes of T11, T12, T13 are sometimes combined as the method of impairment is similar and affects the same area of the body. 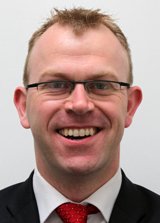 In Christchurch Richard was hoping to "move-up" a number of classes from T42 to T46 and compete in the marathon. Richard is classed as a T42 athlete because he has a double-leg amputation above the knee. T46 class athletes have a single above or below elbow amputation or impairment. Therefore there is no single argument to consider a leg amputee (T42) to compete 'up' a class with arm amputees (T46) as the impairments are dissimilar and affect totally different parts of the body. The only thing similar about the classes is the letter T and the fact the numbers are in the forties! We are aware of the case presented to us by Richard's lawyers. This is ongoing and we hope it will be resolved soon. In the meantime we wish Richard and the 1,000 other athletes luck in their quest for medals at the IPC Athletics World Championships in Christchurch. 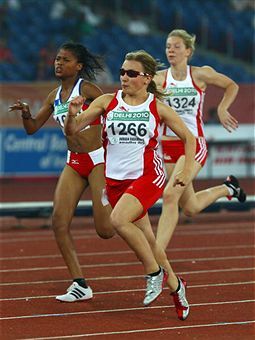 I cannot wait for the 2011 International Paralympic Committee (IPC) Athletics World Championships to begin and I believe it will be an excellent springboard for Paralympic sport in New Zealand. It will showcase what Paralympic sport is all about and will certainly excite New Zealanders. It will be the last major gathering of international athletes before the London 2012 Paralympic Games with nearly 1,100 athletes from 80 countries set to compete in Christchurch. There are still some people in this country who do not consider that Paralympic sport is at the same level as Olympic sport. I encourage all these people to attend the event and see for themselves the level at which all these high performance athletes compete. By hosting the IPC Athletics World Championships this as an opportunity to shift the attitudes and perceptions towards disabled people. It's exciting that New Zealand is staging this event so close to London 2012. The athletes will be looking at putting in some incredible performances in Christchurch to prove a point ahead of the 2012 Games and we are very excited about seeing them compete against each other. A host of big name athletes are set to compete in Christchurch including South African "Blade Runner" Oscar Pistorius, British double Paralympic champion David Weir and American Paralympic gold medallists Jessica Galli and April Holmes. 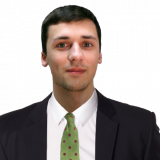 There are obviously a lot of other international names to look out for in Christchurch but it is Oscar Pistorius that is clearly the stand-out name as he has gained a lot of media attention over the last two years. At the World Championships I think there will be a lot of aspirations to beat Oscar and that will make for a really good race whenever he competes. He will be a real showcase for the event. But there will definitely be some other great races as well. In addition to the big international names, there are nine Kiwis to look out for. We are expecting some great performances from New Zealand athletes and we hope that the public will really get behind them. We're also hoping the crowds will turn out for this special event and have priced tickets at just $10 each to make it as affordable as possible. Tickets to see the IPC Athletics World Championships, which runs from January 21-30, are now on sale and can be purchased from www.ticketdirect.co.nz. 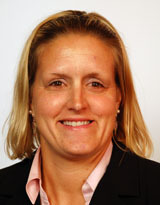 Fiona Pickering is the chief executive of Paralympics New Zealand and chair of the Organising Committee for the Christchurch 2011 IPC Athletics World Championships. 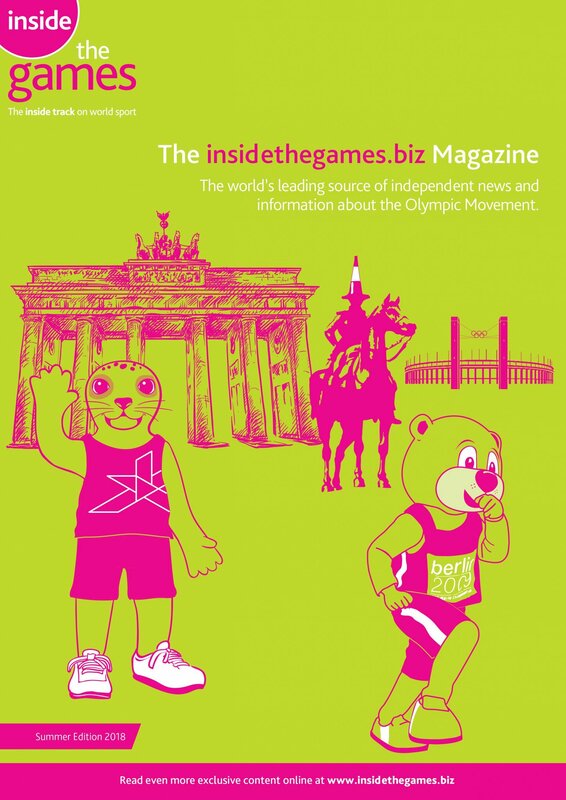 As we turn the page on 2010 and enter the penultimate chapter of the 14th edition of the Summer Paralympic Games at London 2012, the progress of Ireland's athletes begs the question – will the Irish Paralympic Team outshine all others in Irish sport in 2012? Ireland's football seven-a-side team's bronze medal at the CP-ISRA European Championships, representing their first major championship medal in 15 years. James Scully's fourth place and Jonathan McGrath's fifth at the IPC Swimming World Championships. This list is only a snapshot of performances put in by an increasing number of elite Irish Paralympic athletes in a range of sports. 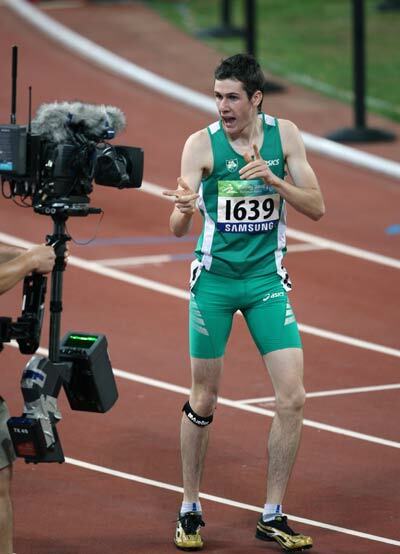 In addition, Jason Smyth broke barriers at the European Athletics Championships finishing fourth in his semi-final behind the three eventual medallists in the men's 100m. With 20 months to go to London 2012 Paralympic Games, the preparation of Ireland's team continues to follow the plan laid out following the Beijing Games. 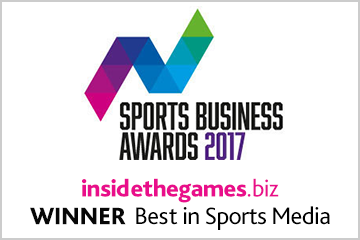 The work being carried out by the athletes, their coaches, team managers, sports science and medical personnel, the National Governing Bodies of sport and PCI is directed at each athlete achieving "career best performances" at the London 2012 Games. 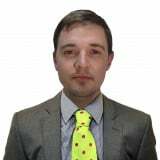 The performances of the athletes have been underpinned by the growth of the Paralympic Council of Ireland in 2010, led by President James Gradwell and the board of individuals passionate about their sport - Paralympic sport. The organisation has grown significantly in 2010. The introduction of high achieving staff in key roles has greatly added to the ability of the organisation to achieve success. Sinead Naughton (programmes coordinator), James Nolan (head of paralympic athletics) and Patrick Haslett (community partnership manager courtesy of Vodafone Ireland Foundation World of Difference programme) have stepped seamlessly into a dynamic high performing organisation determined to achieve success. 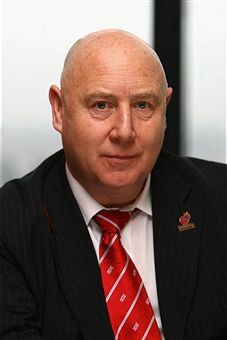 Despite the difficult financial environment which the whole of Irish society is grappling with at present, the Irish Sports Council have continued their immense support for Paralympic sport and remain committed to assisting the Irish Paralympic family in achieving its goals at London 2012 and beyond. That support is vital as the delivery of world-class medal-winning performance requires substantial investment. To further underpin our preparations, many other organisations have joined the Irish Paralympic family and invested in the nation's Paralympic hopefuls. The addition of Renault Ireland, One Complete Solution, Sport Northern Ireland, Waterford Institute of Technology to the existing support from O'Neills Sportswear is demonstrating the increasing strength of Paralympic sport in Ireland and the movement worldwide. The outlook for 2011 is one of promise. The qualification for London 2012 is the key priority with athletes across all sports targeting major championships. First into action is the athletics team at the IPC Athletics World Championships in Christchurch, New Zealand, from January 21-30. A team of eight, including defending champion, Michael McKillop (pictured) will depart these shores on January 13. The team will contain three debutants to major championships - Ailish Dunne, Nadine Lattimore and Ray O'Dwyer. A special treat for Paralympic sports fans is the opportunity to attend the CPISRA World Boccia Cup in late August when the University of Ulster, Jordanstown, host the final qualifying event for teams looking to London 2012 qualification. By year's end we hope to be well on our way to achieving our team size target of 50 athletes and to adding significantly to the roll of honour in Irish Paralympic sport. From an organisation perspective, the year will be off to a quick start with a major announcement concerning the future of the Paralympic Council of Ireland due on January 26. We also look forward to announcing a range of corporate supporters in various brand sectors in early 2011 along with other investment generating initiatives in which individual Paralympic supporters can play their part. Other significant developments pending include the launching of an Irish Paralympians Club, the rolling out of an education programme in Irish schools, the launch of ParaLions2 and the holding of a full road test of Ireland's Holding Camp base in Coimbra, Portugal. The foundation for success in London has been built, but as Mohammed Ali said "the road to success is always under construction". The journey to London 2012 continues. One thing is clear however, the 2012 Irish Paralympic team has the ability to be Ireland's most successful sporting team in the year of 2012! Wishing the entire Irish Paralympic family a happy and highly successful 2011. 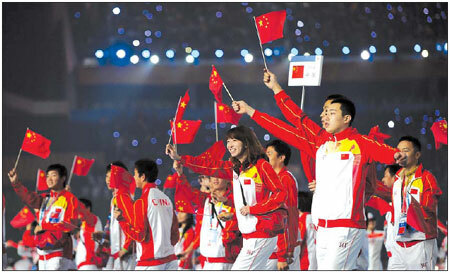 The Guangzhou 2010 Asian Para Games have been a truly superb and memorable Games. It's a real pity that they had to come to an end last night in a spectacular Closing Ceremony. When we arrived in Guangzhou, we were promised a Games of equal splendor and I'm delighted to say the city delivered much, much more. At the weekend, the Asian Paralympic Committee held its General Assembly in Guangzhou and I'm pleased to report that all our members were in full agreement with the APC Board that these Asian Para Games have been the best ever staged for athletes. The Guangzhou 2010 Asian Para Games Organising Committee (GAPGOC) did a terrific job. Not only did they provide some stunning venues to perform in but they also recruited so many volunteers that made our stay in the city a very pleasant one. The spectators were also warm and receptive with many taking the opportunity to see world class Paralympians on their doorstep. There were a number of unsung heroes here in China. The technical officials and classifiers did a great job but one of my favorite stories is of the manager of the Athletes Village. During our stay in China, Guangzhou experienced some of its coldest weather for years. So with the welfare of the athletes her number one priority, she went out and purchased new, warmer clothes - out of her own money - for a number of athletes. As with all Games though, the people who really made it were the athletes. China stole the show by dominating the medal table and it has to be said they will be a considerable force when they arrive at London 2012. Japan and Korea fought a good battle for second and third place respectively but overall the standard of performances by every single one of the athletes was exceptional and will inspire generations to come. I never cease to be amazed at the performances of Paralympic athletes. Although the Games ended last night, a lot of hard week now begins. 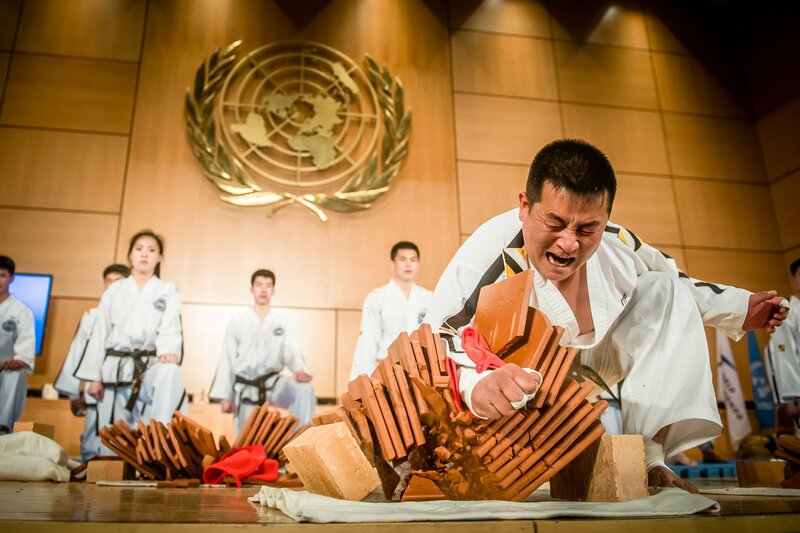 The Asian Paralympic Committee is determined that the Asian Para Games runs back-to-back with the Asian Games not just here in Guangzhou, but in cities across Asia for years to come. It's not just the athletes and officials who benefit from this arrangement but the host city and country too. When you spend years of planning and invest heavily like Guangzhou has done to stage these Games, you want to have two Games for the price of one. Why stage just one Games when you can have a month long festival of sport which manages to unify so many different people from different backgrounds as one? 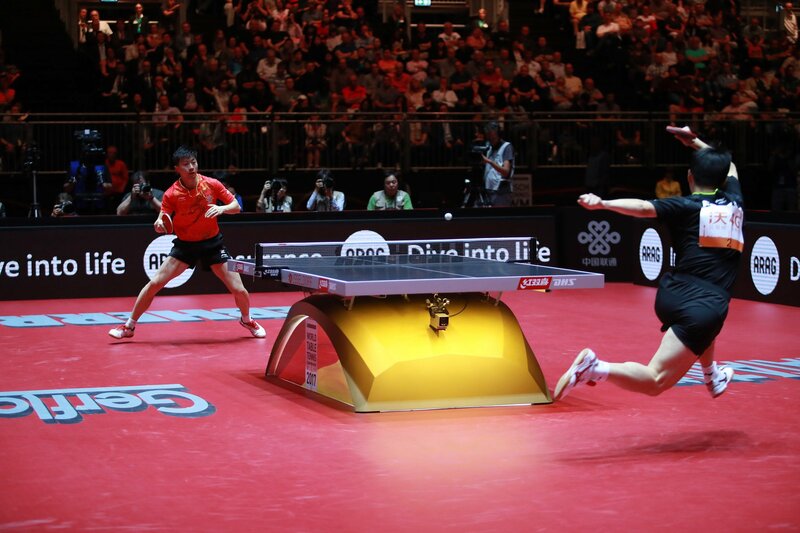 By staging two Games in just under a month, Guangzhou has ensured that the eyes of millions of people around Asia and the world have remained firmly upon the city. I am confident they will have been as equally as impressed as I have been. Guangzhou staged a great Games and I'd like to thank them from the bottom of my heart. The hard work now starts for Incheon in South Korea in 2014. After much discussion and debate, we now have two new sports joining the Paralympic sports programme - canoe and triathlon. Both will join the 20 sports that were part of the existing programme and will make their debut at the Rio 2016 Paralympic Games. Seven sports presented applications to the International Paralympic Committee, however, the International Paralympic Committee Governing Board, to which I am member of, decided that both canoe and triathlon had the strongest proposals. One of the things that appeals to me about both these dynamic sports is that they are popular with the youth of today. If the Paralympic Movement is to continue growing at the grassroots we need sports that will appeal greatly to the next generation of athletes. I think both these events will appeal to potential athletes and spectators in the run up to Rio, not just because they are great sports but because of the venues they are likely to take place at. It's probable that the triathlon will start on the spectacular Copacabana beach and that the canoeing event will take place with one of the world's most recognisable landmarks - the Christ the Redeemer statue - as its backdrop. As the President of the Brazilian National Paralympic Committee I was already looking forward to the Rio Games, but now I'm even more excited that we've got 22 sports to enjoy. Both sports need to put in a lot of hard work between now and 2016, but I'm sure with the help of the IPC they will deliver and the transition into the Paralympic Games will be a smooth one. As a recreational sportsman and an internationally successful athlete, I have always preferred training when I'm surrounded by nature. An outdoor athlete has some incredibly strong experiences and this creates a very close and intimate relationship with their surroundings over the years. You get to know nature as a perfect training site, and as a livelihood - as a spot of beauty and regeneration as well as a source of energy. I was born, I grew up and I still live on a farm in a hamlet near the Alps. My first experience with nature dates back to my first attempts at walking on my own two feet. Spending time with my granddad in the forest, being in the fields with my dad or learning to ski behind my neighbour's house are unforgettable memories directly linked to nature. Further sport experiences in the course of my life exposed me to nature in all its wonderful diversity. This is how nature became such an important part of my life. Athlete, farmer or tourist - we all rely upon nature in general and, in my case, the Alps in particular. Different groups of people "use" nature in different ways. But to make sure its beauty and its bounty are maintained, we should always work in harmony with it. That applies to sport in particular, since outdoor sport relies on nature completely. Sport needs to be enjoyed sustainably, with an awareness of the role the natural world plays in all our lives. In recent years a lot has already changed in the field of sport. Past experiences are incorporated very constructively in today's sports – especially when it comes to the construction of new sports venues. The Munich 2018 bid to host the Olympic and Paralympic Winter Games is a good example of this new way of thinking in the world of sport. I was directly involved in the planning of the sports venues for Munich 2018. Therefore, I am well placed to verify that incursions into the natural environment are to be carried out only if absolutely necessary and only if they comply with the bid's rigorous ecological standards. The bid committee rejects new venues if they offer no long-term benefit, in order to minimise the impact on the environment. The result is an innovative environmental concept with athletes and nature at its core. Modern environmental protection should not mean the curtailment of outdoor sports. It should mean enjoying sport in harmony with nature. In Munich's green bid concept, forest clearance would be minimised, artificial snow would be used sparingly and changes to the profile of the landscape would only be considered if they offer sustainable benefits. These are the challenges the world of sport faces today. Having worked with Munich 2018, I can safely say that those challenges are faced and overcome with dedication and professionalism. That makes me a big supporter of the bid. 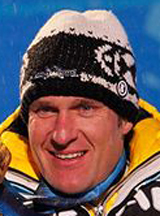 Martin Braxenthaler, the legendary monoskier from Germany, is one of the greatest Winter Paralympians of all time having won 15 Paralympic gold medals, including 13 golds, across four Paralympic Games. Braxenthaler also won the 2007 Laureus World Sports Award for Sportsperson with a Disability of the Year. Well, after the International Olympic Committee's (IOC) Co-ordination Commission Meeting in London all I can say is "Roll on August 29, 2012" and the start of the Paralympic Games in London. After three days of extremely productive discussions in the British capital I left London feeling very positive about what is in store in just over 21 months' time. 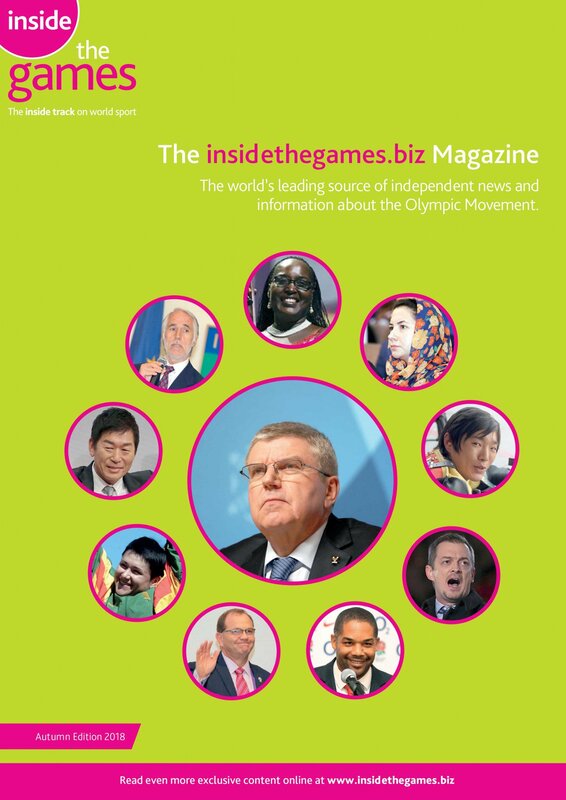 For a starter, despite the fact I was actually there as a Board member of London 2012 rather than my role as International Paralympic Committee (IPC) President, I must say the IPC team felt very much at home in the meeting alongside the other partners. The close friendship that has developed between the IPC, LOCOG and British Paralympic Association was clear and it was superb to see such teamwork in action. To have such an understanding and relationship so far out from the start of the Games is not always the norm and it bodes extremely well for the rest of our time working together. LOCOG is clearly working on some exciting plans which will further raise awareness of Paralympic Sport and the Games next year, not only in the UK but around the globe. The IPC will be delighted to work hand-in-hand with them every step of the way. The venues are looking good and it is encouraging that LOCOG is taking on board all of our comments and suggestions to help make the Games the best they can be. In part of the meeting we discussed initial plans for the various ceremonies that will take place at the Games as well as the torch relay. This got me really excited as my memories slipped back to Beijing – a Games I never thought could be bettered. However, the enthusiasm, determination and drive shown by the IPC, LOCOG and British Paralympic Association last week left me fully assured that London 2012 will deliver a truly great Games. I must also say thank you to Deloitte who are the professional services provider of London 2012. They hosted last week's meeting and not only did they provide a superb facility but the staff were extremely accommodating and friendly, so thank you for making us all feel so welcome. 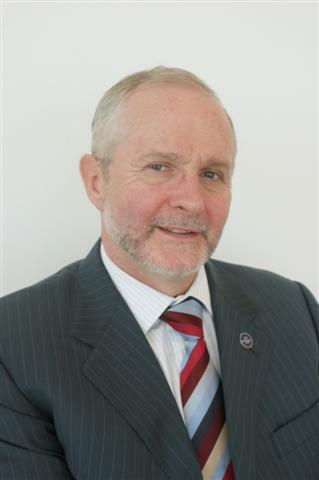 Sir Philip Craven is President of the International Paralympic Committee. With the New York Marathon out of the way I'm turning my attention to 2011 and the IPC Athletics World Championships in January in Christchurch, New Zealand where I'll be competing in both the 200m and the marathon. 2011 is a very important year for me because I'm becoming a full-time athlete for the first time. I have competed in numerous sports over the years ranging from gymnastics to ice sledge hockey - I was at the 2006 Paralympic Winter Games in Torino with Paralympics GB - but from next year I'll be a full-time runner focused on London 2012. At the moment I work part-time for Nottingham City Council, who have been very helpful in allowing me to do flexible hours to fit in with training and competition. Previously I worked full-time and squeezed sport into evenings and weekends so it has been a gradual shift. Becoming a full-time athlete will make a big difference because I'll be able to rest properly and be more careful about what I eat. That's very important when I'm running 90 miles a week. It may seem unusual to run competitively in the 200m and the marathon but I'm used to combining sprint and endurance work. I'm fortunate that my background training in gymnastics has given me good balance and agility, which really helps to prevent injuries. Of course the training is very specific – it might be a 45 minute session on the track for the 200m compared to two or three hours for the marathon. I'm very thorough in my preparation and recovery – plenty of pasta the night before a race, fruit and protein afterwards. When I first started training for marathon running I tried to get advice from as many experts as possible and read books by the likes of Haile Gebreselassie and Paula Radcliffe. I have developed my own running style and I'm supported by a fantastic team including my coach Liz Yelling and several others. In October I broke the world record for any amputee runner with 2:42.52 in Chicago and I'm looking to improve that time next year. I'll be running the Virgin London Marathon again in April, which is always a great experience. If I have pacers to help I hope to set a good time on home soil and build my confidence ahead of London 2012. I also expect to run either the Berlin or Chicago Marathon next autumn. Which one I choose may depend on the weather as wet roads are not conducive to a fast time. The BT Paralympic World Cup in May is another highlight of the year, as is the Aviva London Grand Prix at Crystal Palace. At those events I will be able to measure myself against the best of the competition from around the world just a year ahead of the Paralympic Games. All in all I'm really looking forward to the challenge of being a full-time athlete. Of course it's only possible with support from sponsors. I expect to be away from home for about 80 nights next year so the free room nights that Holiday Inn has given me are very helpful and will save me money. Any athlete training or competing away from home wants to be able to focus on their job and be confident that they will be comfortable in their hotel – it's one less thing to worry about. Right, time to get back to training. I leave for New Zealand on 4 January and there's a lot of road and track to be covered before then. 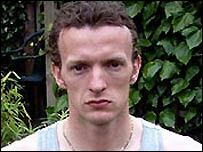 Richard Whitehead is a congenital double amputee, Paralympian. He is the current world record holder for leg amputees in both the half and Olympic marathon distances. He is also the first ever leg amputee to complete the marathon in under three hours. To find out more click here. Holiday Inn is the Official Hotel Provider to the London 2012 Olympic and Paralympic Games. For more details click here. Britain has finished second on the medal table at the last three Paralympic Games, but our position as a leading nation in Paralympic sport is hard-earned and at each Games the competition gets tougher. We know that 2012 will be a huge challenge with many nations setting their sights on toppling us from second place. We know that we will need the best possible team in order to take on the world in London. We recognise that in the world of disability sport the ParalympicsGB brand can act as a magnet to encourage people to try sports they may not have considered. As a result we have hosted Paralympic Potential days with our sports since 2007. These days complement sports' own Talent ID programmes but differ in that they are multisport environments designed to give people the opportunity to try out several sports in one day. They also give sports the chance to see more applicants than they may have been able to attract as single sports. They are designed to identify those individuals who have the raw talent and determination to be potential athletes and Paralympians. 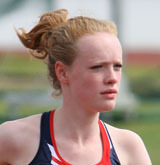 And they have been very successful: several athletes are training with GB squads as a direct result of attending one. A good example is Shaun McKeown, a 2012 hopeful in cycling, who was identified in 2009 and who represented Britain at the World Championships in Road Cycling shortly after. Or Pam Grainger from the MOD Battle Back programme who attended in 2009 and has recently won a silver medal in shooting at a world cup. We have also worked with our colleagues at UK Sport and the EIS on the Paralympic Potential campaign, and we are already starting to see the results of our combined efforts in the numbers of new athletes on programmes. So it is with great excitement that we will host our next Paralympic Potential day on Wednesday this week, this time at Pond's Forge in Sheffield. Over 50 disabled people have applied from right across the country, including several servicemen and women as a result of our strong relationship with the Ministry of Defence's Battle Back programme. We are also delighted that Cadbury's will be once again supporting the day. Our talent days are particularly close to my heart. This is because they demonstrate an important part of what I hope will be a major legacy of the Paralympic Games - that is, increasing opportunities for more disabled people to take up sport to whatever level they aspire to. The perception of things changes as soon as you become reliant on a barrier-free environment. As a person with a disability or with restricted mobility, you also want to be able to move and find your way around as freely as possible. As a blind biathlete, I need someone to guide me through the cross-country ski runs. But in my private life, I want to live independently. My desire for free mobility and autonomy came right after my high school degree as until then I had grown up in the countryside. On reflection, that was the best thing that could have happened to me since it was in the country that I discovered skiing. When I was just four years old, my parents were already taking my two older brothers and me to go alpine skiing. That is the foundation of my sporting ability today. Biathlon and cross-country skiing have allowed me to experience unforgettable moments in my life and I've been lucky enough to win many Paralympic medals. Growing up in the countryside taught me how to move confidently and how to play sport. At the age of 20 though, I wanted to experience the freedom of a large city. I decided to go to Munich. The chance to combine professional biathlon with the independence of living in a large city and studying in a world-renowned university convinced me to move to the Bavarian capital. Munich offered everything I needed. Apart from its close location to the mountains, it is home to a university that offers individual solutions for everyone wishing to study there. I just handed in my Masters thesis some weeks ago and I'm revising for my final exams right now. I'm confident that I'll get a good degree that will enable me to find an interesting job and to stay grounded after my sports career. Another important aspect was the ease of travelling independently thanks to Munich's barrier-free public transportation system. Well-organised train stations with spoken announcements, platforms all on one level, and easily accessible trains allow for an independent orientation without mobility restrictions. As much as the perception changes in some respects, it stays the same in others. My favourite spot in Munich for example is the Olympic Park. As a student I used to live in the former Olympic Village of 1972. Student life there was fantastic. Thanks to the diverse range of top facilities at the Olympic Park, I also had the chance to run countless kilometres there. The Olympic Park offers everything I like to do in my spare time: attending great sports, music and cultural events in the Olympic Stadium, the Olympic Hall or the Olympic Park, or simply having barbecues with friends on warm summer nights. Verena Bentele is a visually-impaired German Paralympic biathlete and cross-country skier as well as a Munich 2018 sport ambassador. She has won a total of 16 Winter Paralympic medals, 12 gold, across four Paralympics Games. The Canadian Paralympic Committee is embarking on the most ambitious plan in its 35-year history. Without a doubt, the hosting of the Vancouver 2010 Paralympic Winter Games has catapulted Canada into a new era. At home, the most successful Paralympic Winter Games for a Canadian team has created a heightened awareness about our Paralympians and Paralympic sport. With 65 hours of television coverage, 13.6 million Canadians tuned into the excitement and high performance experience that the Games offered – and they were hooked! This unprecedented visibility captured not only the hearts and minds of Canadians, but also the support of the Government of Canada, as the Canadian Minister of State for Sport, the Honourable Gary Lunn, announced a new financial contribution of $5 million (£3 million) annually over the next five years. The funding has triggered a new vision that will position Canada as a strong leader in Paralympic sport as well as ensure a sustainable Paralympic system in Canada. To achieve this, we will work closely with our partners to build a world-class Paralympic Sport System, a new business model and a stronger awareness of Paralympic sport and of the Paralympic brand in Canada. Leading this vision are several individuals that are new to the CPC's board of directors. 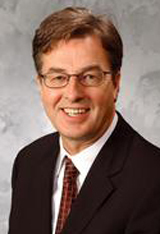 Dr David Legg was appointed as the new president on October 23 after having spent 11 years on the board. At his side, 21-medal holder and Paralympic star, Chantal Petitclerc, was named as a new member at large. Our future is bright and our potential is enormous. Now, more than ever, our athletes will have the confidence that their Paralympic dreams are within reach, and that every Canadian will stand behind them while celebrating their accomplishments! I’ve just returned from a thoroughly enjoyable few days in the Southern Hemisphere celebrating the past and looking ahead to the future of a number of major Paralympic events. My first port of call was Sydney, Australia, where I had the honour of attending the Australian Paralympic Committee’s annual awards dinner. This year’s dinner was a special affair as not only did it celebrate the achievements of all those that had performed so admirably during 2010 but marked the 50th anniversary of the first Paralympic Games in Rome and the 10th anniversary of the Sydney Paralympics. It was a really enjoyable evening and my congratulations must go to Cameron Rahles-Rahbula for being crowned Australian Paralympian of the Year for his achievement in winning two bronze medals at the Vancouver 2010 Paralympic Winter Games. The dinner was attended by scores of Paralympians from previous Games and it was really nice to catch up with some familiar faces who I worked with when I was part of the Sydney Paralympics Organising Committee, including Dr. John Grant, who was the President of the Sydney Paralympics Organising Committee. Before the dinner though, I had the pleasure of attending a special reception with seven surviving members of the Australian team that participated in the first Paralympic Games in Rome in 1960. The group was in great spirits and it was fantastic to listen to their memories of those first Games 50 years ago and hear how they believe the Paralympic Movement has developed. As you would expect in a sport obsessed country like Australia, the group remain heroes to this day for their achievements. 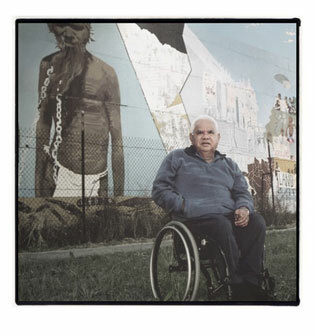 One of them, Kevin Coombs (pictured), Australia’s first Indigenous Paralympian, even has an Avenue named after him at Sydney Olympic Park and rightly so after competing in five Paralympic Games. It was Kevin who made me laugh out loud when I read an excellent article about Rome in the Sydney Morning Herald upon my arrival in Australia. When asked what had most changed about the Paralympics since he got involved, Coombs replied professionalism. Where today’s elite wheelchair basketballers take ice baths after a match, Coombs and his teammates settled for a few iced beers instead! From Sydney I flew to New Zealand to see how preparations are coming along for next January’s IPC Athletics World Championships. Despite feeling the brunt of a major earthquake in early September I’m delighted to say that preparations are coming along really well in Christchurch and the Local Organising Committee, city and Government are all committed to delivering a superb event. The stadium is looking good, the facilities are coming together, hotels are ready to welcome their guests and there is a general building of anticipation and excitement in the city. More than 1,000 athletes from over 75 countries are expected to take part in January making it the biggest IPC Athletics World Championships ever staged. In terms of number of participants it will also be the biggest sports event ever to be staged in New Zealand, a fact I was not shy in mentioning during numerous radio interviews whilst there. With Christchurch being the last major international event before the London 2012 Paralympic Games I am genuinely excited about some of the sensational performances I expect some of the athletes to put in. The leading contenders will not only be looking to win gold and break a world record, but send out a clear warning to their rivals that they mean business in London in less than two years time. Some athletes are already in New Zealand training hard for January and who knows in 10 or 50 years time there may be another celebration event in the southern hemisphere marking these Championships. 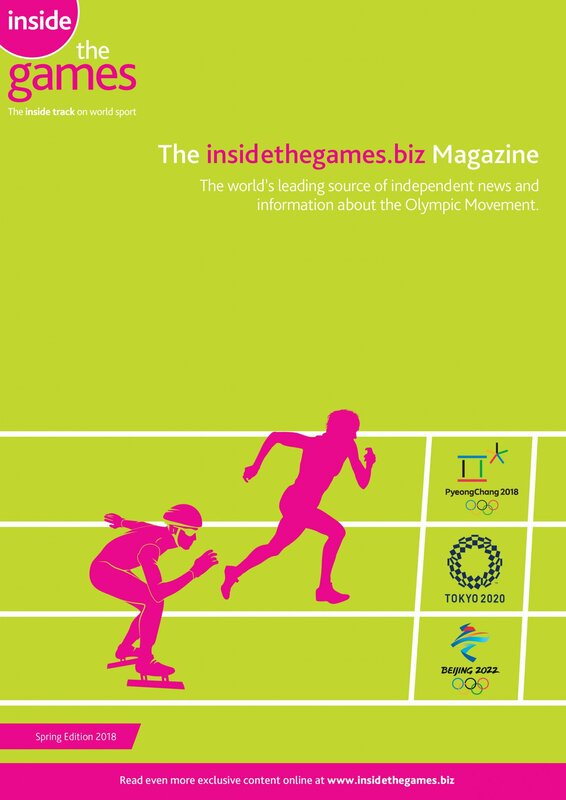 There was a justified media frenzy over the summer as we celebrated "Two years to go" to the London 2012 Paralympic Games, but as I write this we're just over two months out from the IPC Athletics World Championships in New Zealand. This is hugely significant for many reasons; not least the fact that it's the last major Paralympic event at senior level prior to 2012. Perhaps more importantly however, as athletes fight to make it to the top of the podium, they're also making their case for funding support for one of the most important years of their lives so far in the countdown to London. It's more than just the medals. Overall it's been an exciting year for Paralympic athletics in the UK and we've enjoyed some significant progress in the profile and integration of the sport through, among other things, increased high quality competition opportunities, enhanced media coverage and overall greater awareness. Domestically, we were able to use the fast approaching 2011 World Championships as a hook to evolve our UKA Disability Athletics Challenge Series from a one-event pilot in 2009 to a three-event series in 2010 which concluded in the largest international Paralympic athletics event in the UK at Crystal Palace with 120 athletes from 19 different nations represented. Without doubt the great competition and excellent venues - which included a new, fast Mondo track in the first meeting in Knowsley - contributed to a huge number of World Championships qualifying performances in the UK. 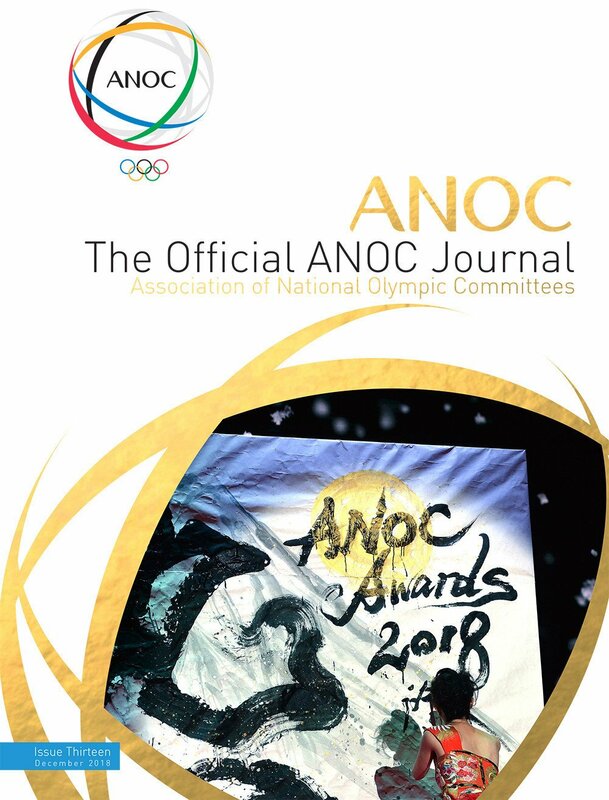 This is something we've not previously had and our athletes definitely benefited from competing on home soil rather than travelling half way across the world to achieve those important qualification standards. From a performance perspective, our athletes are already putting down impressive markers ahead of New Zealand, and for many, performances that will start their journeys to Paralympic Games in London 2012 and Rio 2016. We took an 18-strong team out to the IWAS World Junior Championships in the Czech Republic in August and they returned with a medal total of 43, which was a brilliant achievement. At senior level, Katrina Hart (pictured), Dan West and Gemma Prescott - all England - as well as Jenny McLoughlin - from Wales - won medals in the Commonwealth Games in Delhi to give us a great demonstration of their current form. Operationally, one of the most significant appointments we've made this year is that of Hayley Ginn as UKA Apprentice Coach (Paralympic) for Sprints and Wheelchair Racing. Hayley's role is only the second position of its kind within the Paralympic movement in the UK and the fact that she's working across Olympic and Paralympic performance is evidence of our commitment to full integration and positions us as a world-leading country in the sport. She'll be based at UKA's National Performance Centre at Lee Valley from today and will work with UK wheelchair racing expert Jenny Archer, coach to Paralympic Games multi-medallist David Weir, and me, and will develop and progress athletes across a variety of track-based Paralympic events. When you consider that the medals won by our Paralympic athletes in Delhi contributed to the overall medal totals for their teams - something that hasn't always happened - integration is definitely becoming a key theme and is one that we want to continue to build on through to 2012 and beyond. We're moving in the right direction and we've stepped up to the mark as one of the leading countries in the world in Paralympic athletics. None of this would be making headlines, however, without the much-needed increase in media attention. Overall there's greater interest in the sport across newspapers and online, but bringing Channel 4 on board as the official broadcaster for the Paralympic Games has been a really astute decision. Not only are they producing creative and innovative programmes but their enthusiasm and commitment to the sport has been impressive so far. From a human interest angle they've really got to know our athletes, which in turn will help the general public get to know and like them, but from a performance perspective - which is ultimately the key - the programmes are already conveying the hard work, commitment and drive that is needed for athletes to succeed at this level, as in any elite sport. It's a good move all round and interest in our sport is undoubtedly starting to build. We just need to ensure that as a team we give you all performances to shout about. 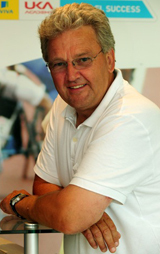 Peter Eriksson is UK Athletics Head Coach for the Paralympics and former coach to Chantal Petitclerc of Canada, the most successful Paralympic track and field athlete in history. 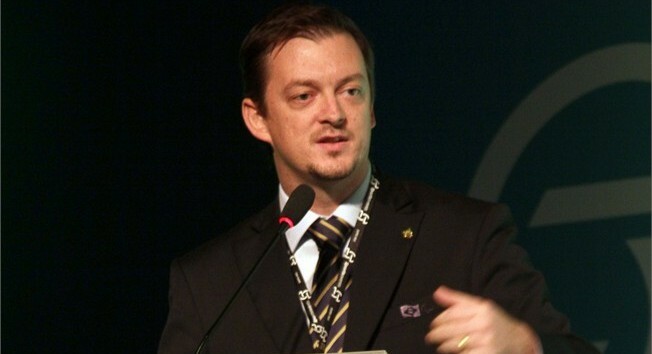 In total, Peter Eriksson's athletes have won 119 medals in Paralympic Games. Now based in the UK, he coaches two of Britain's up and coming wheelchair racers, Hannah Cockroft and Josie Pearson, both of whom have been selected to represent the Aviva Great Britain and Northern Ireland team at the IPC Athletics World Championships in January 2011.